The RPM-PF is the most technologically advanced Rescue Pumper Marion has ever built, while also featuring one of the most comfortable designs in the industry. In addition to the 750-gallon water tank, 1,500-GPM pump, 20-gallon foam tank system, and full hosebed, this engine also comes equipped with 9 full-depth storage compartments, a 10KW IHT-ready generator, a built-in light tower, and a fully-electronic touch screen pump and control panel – complete with a rear-view back up camera. It also features the lowest possible engine tunnel available and angled crew seats in an ELFD cab to make it the largest 6-man cab offering on the market. The RPM-PF demo apparatus will be on display May 15-17 during FIRE EXPO in Harrisburg, Penn. and August 28-29 during the IAFC’s Annual Conference and Expo in Atlanta, Ga., but you can also contact the Marion F&E sales team at (715) 754-5261 for more information. 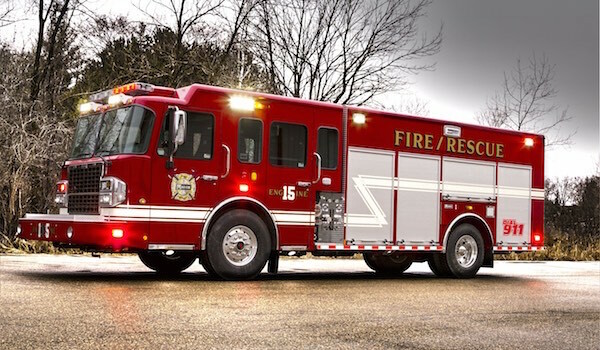 Marion Body Works manufactures Fire & Emergency Apparatus, Commercial Truck Bodies, Aluminum Custom Cabs, Custom Engineered Vehicles, and Defense Products for customers across the country. Marion has been privately owned, family operated, and continuously operated in Marion since they were founded in 1905. An ISO 9001-certified company, Marion specializes in all aluminum products, with more experience in this area than any other U.S. manufacturer. The company’s capabilities include aluminum and steel fabrication, welding, plumbing, foam insulation, hydraulics, electrical and electronic controls and painting.